All inventory are marked as cash or check pricing plus applicable fees. Please call for current inventory as it changes daily. 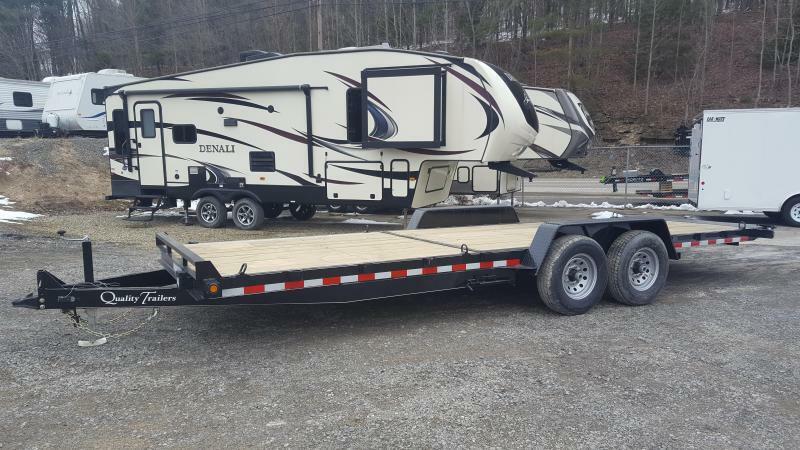 2018, 5' x 10', Treated Deck, Gate, Fold-In Rear Gate, Tie Downs, 3K MSRP does not include freight to dealers. 6'-5" x 12' Angle Utility Trailer, Treated Deck, Fold-In Rear Gate, Tie Downs, 3K. MSRP does not include freight to dealers. 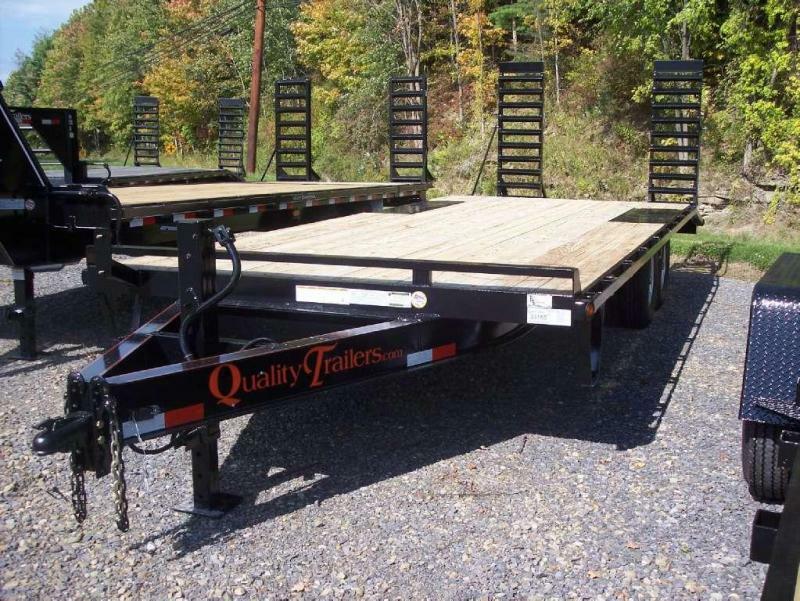 8' x 22' 6" Gravity Tilt Trailer, 8' fixed, Treated Deck, 14K. MSRP does not include freight to dealers. 8 x 20 Open Car Hauler, Treated deck, 2' Wood Dovetail, Diamond Plate Fenders, Ramps Stored Underneath, 9990#. MSRP does not include freight to dealers. 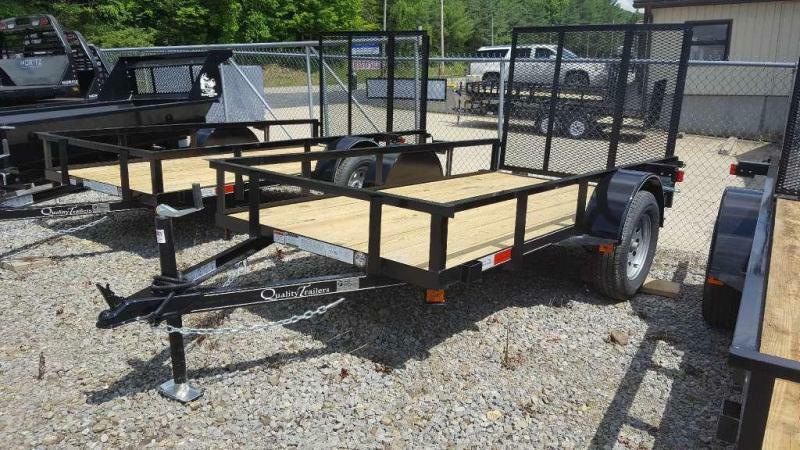 6'-5" x 10' Angle Utility Trailer, Treated Deck, Fold-In Rear Gate, Tie Downs, 3K. MSRP does not include freight to dealers. 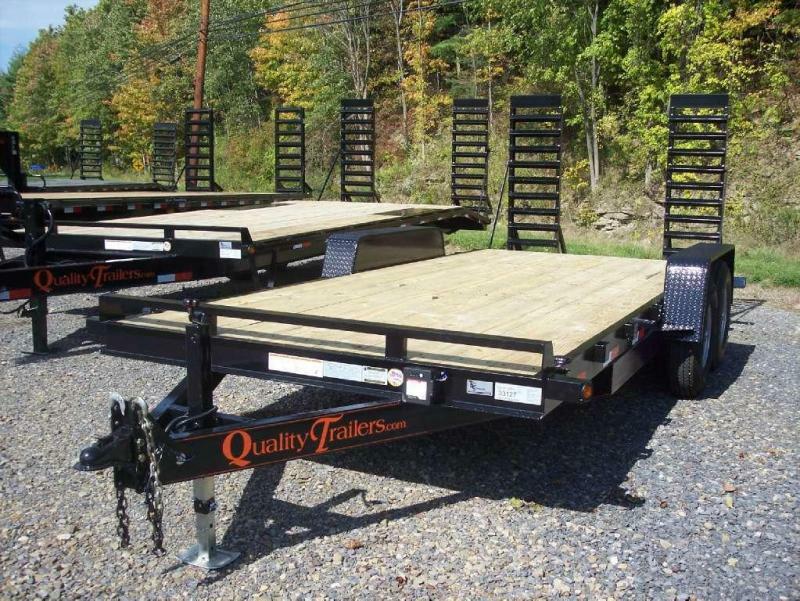 22' Deck Over Trailer-General Duty, Treated Deck, 4' Dovetail, Spring Assist Ramps, 14K MSRP does not include freight to dealers. 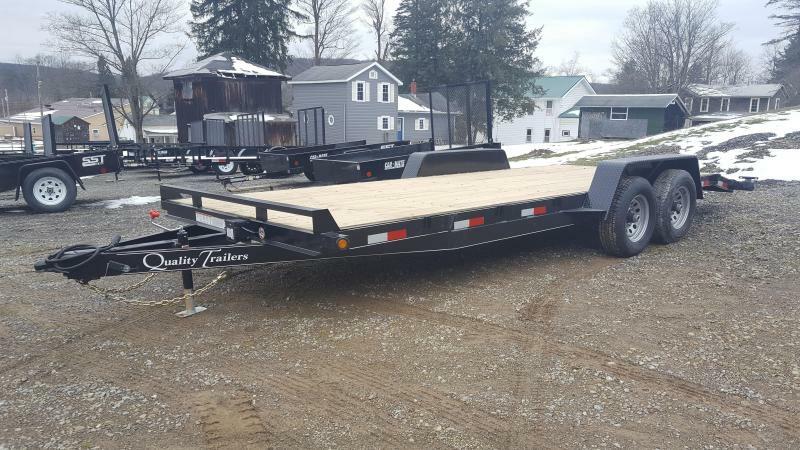 20' Equipment Trailer-General Duty, Treated Deck, 2' Dovetail, Spring Assist Ramps, 14K MSRP does not include freight to dealers. 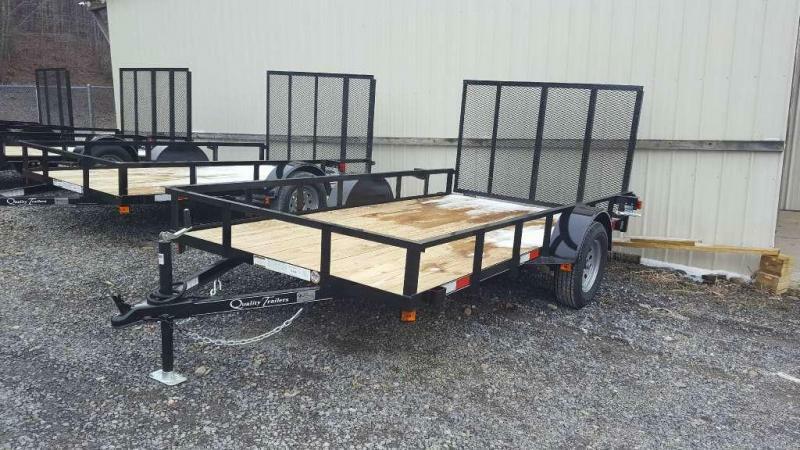 8' x 18' Equipment Trailer-General Duty, Treated Deck, Spring Assist Ramps, Radial Tires,14K MSRP does not include freight to dealers.